What do you think about the current revolution of Artificial Intelligence? Now it is fashionable. It is used, or so they claim, in all areas. We have been working in this field for 18 years in the company and many more before in research, and are proud to see that our specialty is one of the most important trends in the latest technological and business news. An interesting fact is that many companies that say they use Artificial Intelligence just do it as a marketing claim. And why now and not before? The current speed and storage capabilities of computers are infinitely more powerful than they were a few years ago. In general Artificial Intelligence techniques work with large amounts of data. Right now the data in many areas are practically infinite. In this way the necessary conditions have been met for this qualitative leap: the technical means and the unlimited existence of information to be transformed into knowledge. You hear about Machine Learning, Neural Networks, Soft Computing, Genetic Algorithms… are they new techniques? Neural Networks have their origins in the 40’s and Genetic Algorithms are from the 50’s, however in those early years theoretical advances were made considering that the technology was very limited. Step by step with scientific and technical developments these techniques are currently transforming many fields. It is very interesting that these concepts have gone from the scientific and university environments to the everyday language. What is the background of the company and its relationship with Artificial Intelligence? 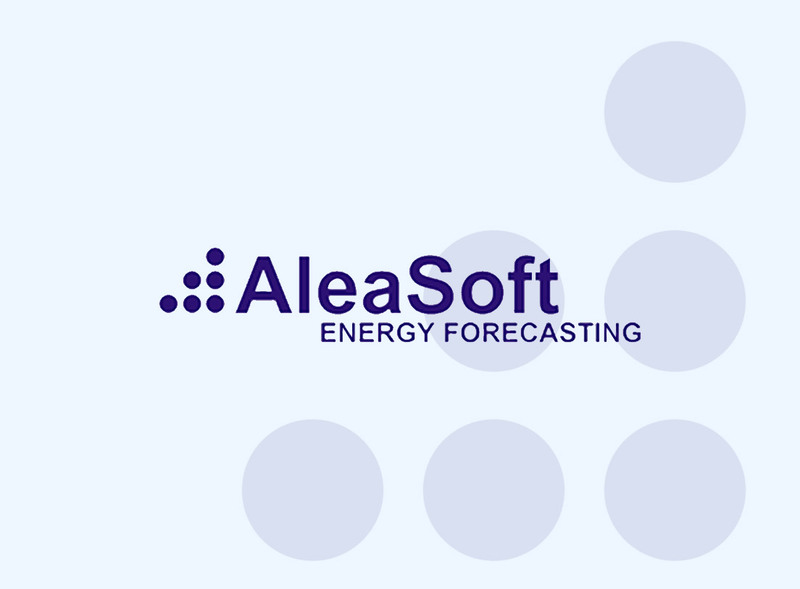 Our company, AleaSoft, is a spin-off of the Polytechnic University of Catalonia, founded on October 8th, 1999. It arises from a research work in the fields of Statistics and Artificial Intelligence, specifically Neural Networks applied to time series forecasting. These works give rise to a novel methodology called Alea, with a new type of forecasting models: AleaModels. How is it possible that for 18 years you were already using the tools of Artificial Intelligence intensively? For many people Artificial Intelligence is something new, recent, because now the term is often heard. As we have mentioned, those are techniques with many decades of history. With the methodology and the models we created, we built a flexible platform responsible of generating the forecasts. All models are based on the combination of recurrent Neural Networks with Box-Jenkins models. For 18 years we have been using these models based on Artificial Intelligence. What part of Artificial Intelligence do you use in your models? We have mainly created a type of recurrent Neural Networks and a new type of Genetic Algorithms for selecting the best forecasting model. When is Statistics used and when is Artificial Intelligence? In a general sense statistics is the basis for any type of data analysis and we can say that when the amount of data is very large Artificial Intelligence techniques are more adequate. We think that Artificial Intelligence cannot be used properly if statistical tools are not well known. In many cases statistical techniques are enough to solve the problem. Everything you do is automatic when using Artificial Intelligence? In the modeling processes 30% is data analysis and much of this process is manual, with auxiliary statistics tools. Once the models are found, the forecasts are automatically generated. In the energy sector, to what kind of companies do you provide forecasting models or services? In the energy sector there are different types of companies that require our forecasts: generators, distributors, retailers, national system operators and large/medium consumers. In addition, forecasts are necessary for traders and investors. In our client portfolio there are examples of all these types of companies, from the largest in Europe to much smaller ones. How many AleaModels do you have in operation? At the moment we have installed about 350 forecasting models of different types. Many of which make forecasts every few minutes all year round automatically. What kind of forecasts do you make? We make two types of forecasts mainly: energy demand and market prices. In the case of electricity market prices we have models and associated services for the main European markets. In the case of demand we make forecasts at all levels, from the national, regional and zonal level, and also for consumers. All these forecasts are made in three scales of horizon: short term, medium term and long term. If all market agents use your forecasts in the medium and long term, these forecasts are like an index? 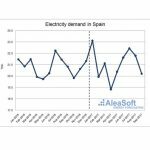 Indeed, for example, in the case of our forecasts of medium-term Spanish electricity market price, they are used by companies that cover 80% of the market both generation and consumption. In this way, forecasts are not only useful for their quality, but because they are seen by most of the main agents as a reference or index. Do you make other forecasts? For example renewable production forecasting? In general we make all the forecasts associated with the energy sector in order to make forecasts of market prices, such as hydroelectric, solar, wind and nuclear production, among the most important. We have models for forecasting electricity, gas and any other commodity. As we mentioned above, we make aggregate forecasts of all types of renewable and conventional energies. What benefits does the use of Artificial Intelligence have in the models of energy forecasting that you have in operation? We can say that our models are more precise than others in the market by combining the most advanced statistical methods associated with forecasts as well as Artificial Intelligence. How is R & D in a company based on Artificial Intelligence? What type of staff is required? R & D work is constant and consumes an important part of the resources. Each year a portion of the income is reinvested in new research projects and the continued improvement on the quality of the forecasts. We have been fortunate to have a highly qualified and involved staff. In all these years we have required different profiles to create multidisciplinary teams. At first we needed more programmers because we were building our platform. Over time, we have been requiring personnel with modeling skills and energy market experience. We have to thank for the achievements to all those who have accompanied us at different stages in these years of history. What can you tell us about quality improvement? The first priority of the company is the continued improvement of the forecasting quality. All the resources that we dedicate to the improvement of the quality are ever enough. We have recently obtained the certification of the new ISO 9001:2015. On October 8th, 18 years of the founding of the company, what balance can be made? The balance has been very positive. It is a great achievement that the research that is carried out in the university takes to a technological company and that, for 18 years, we have been a reference in the sector of energy forecasting. It is a scientific and technical achievement but it also helps companies in the energy sector to make the best decisions with a saving in resources. Also in these 18 years we have contributed to saving energy and improving energy efficiency. We have created direct and indirect jobs bringing value to society. What have been the economic results for shareholders in these 18 years? The creation of value for the shareholder has been very satisfactory. In each of the company’s 18 years of life financial results have always been positive, including the years of crisis. 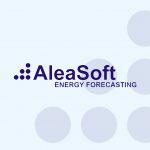 What are the future prospects of AleaSoft? New commercial headquarter in Madrid? Our main ambition is to be able to extend our forecasting models outside Europe. However, we are focused on improving the quality, which is the basis of a safe expansion. Regarding Madrid, indeed we have opened a new headquarters there, mainly for expansion and consolidation in the Spanish market.